In 1985, the profound aspiration of Bharat Mehta to settle in India, inspired him to promote International Chemicals & Metals [ ICM ]. The products of ICM incorporate sophisticated technology to offer high reliability with superior performance for soldering electronic assembly and for processing Printed Circuit Boards. 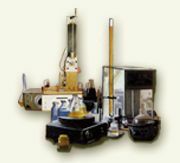 The Research & Development at International Chemicals & Metals is dedicated to advance the Technology of soldering with innovative products. ICM is continually assessing the applications where research should be performed to develop products for specific requirements. It has Successfully developed and import substituted various fluxes and chemicals for its customers for several applications. In 1965, on completion of Bachelor's degree in Mechanical Engineering from M. S. University- Baroda, Bharat Mehta proceeded to U.S.A. and joined Illinois Institute of Technology (IIT) - Chicago where in 1967 he received MS in Industrial Engineering. He, then joined Ohmite Mfg. Co. a subsidary of North American Philips Co. as an Industrial Engineer where he gained vast experience in manufacturing precision components. During his association with Ohmite Mfg. Co. Bharat Mehta received his MBA from Loyola University in Chicago. Innovation that constitutes Quality Enhancement with Cost Effectiveness is indeed "Pragmatic Conformance"
The MBA program inspired him further to learn more about Indian business environment and in 1970 he took up as a Research Associate for Indian Institute of Management (IIM) - Ahmedabad various consultancy and case-preparation projects with emphasis on Electronics, Plastics, Machine Tools and Chemical Industries. To further explore the manufacturing technology in USA Bharat Mehta took up the responsibility to set up and operationally manage a printed circuit manufacturing facility, automatic components-insertion system and assembly lines with Admiral Corporation, Harvard, Illinois a subsidiary of Rockwell International - USA. With ambition to learn more about manufacturing business, in 1977, he joined a small printed circuit Manufacturer Blair Mfg. Co. in Evanston, ILLINOIS, USA as Director of Systems, Operations & Quality Assurance. Under the cost effective and efficient leadership of Bharat Mehta Blair Mfg. Co. registered a phenomenal increase in sales and profit. Blair Mfg. Co. reciprocated this achievement by offering him technical partnership and a position of Vice President of the entire operation. Under the operational direction of Bharat Mehta Blair Mfg. Co. continued to grow and successfully cater its products to companies like Motorola, RCA, Texas Instruments, Zenith, Honeywell, Ford, etc. 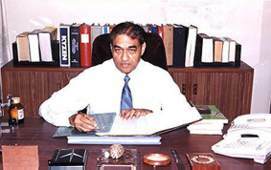 In 1985, the successful business experience in U.S.A. inspired and motivated Bharat Mehta to promote International Chemicals & Metals in Ahmedabad, India.